7-Eleven, the major convenience store chain, is rolling two ground-breaking launches into one with the introduction of its proprietary Fizzics Sparkling Cold Brew Coffee in the first self-chilling cans available to the public in the USA. During the test launch, the coffee drinks are being tested at 15 Los Angeles-area 7-Eleven® stores. The innovative Chill-Can® technology has been created by The Joseph Company International. The containers are purchased at ambient temperature and chilled when ready to consume. When activated, the patented technology utilizes reclaimed CO² and the process automatically chills the can and the sparkling coffee beverage inside. The self-chilling can has been recognized by the Environmental Protection Agency (EPA), NASA and the US Army. "Because the self-chilling can technology is so groundbreaking, we wanted to introduce it with a super innovative beverage," said Tim Cogil, 7-Eleven director of private brands. "Sparkling coffee sodas met all the criteria. Fizzics will be the first that can be chilled on demand, bringing a new level of convenience to customers who want to enjoy a chilled drink whenever and wherever they are." Chilling the can is simple: Place the can on a flat surface, turn it upside down and twist the base to activate, until a constant hissing noise can be heard. The can should not be handled or touched after activation until the hissing stops. The warmth of being handheld can inhibit the cooling process. Once the hissing stops—about 75 – 90 seconds – the can can be turned upright and opened for consumption. The patented Chill-Can® and the MicroCool® technology created by The Joseph Company utilizes a built-in heat exchange unit in concert with reclaimed CO2 to create its chilling technology. 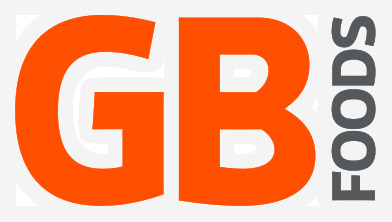 The EPA award winning process uses CO2 that is recaptured from the atmosphere and is reused. The Chill-Can® is 100 percent recyclable and does not introduce any new CO² to the atmosphere. 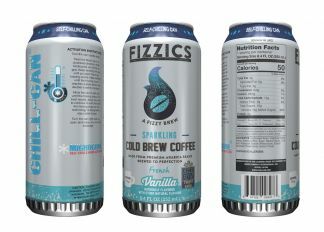 On the leading edge of coffee trends, the Fizzics Sparkling Cold Brew Coffee drinks are available in three flavors – Regular, French Vanilla and Caramel. Each 8.4-ounce can contains only 50 calories, 10 grams of sugar and less than 80 mg. of caffeine, says 7-Eleven.